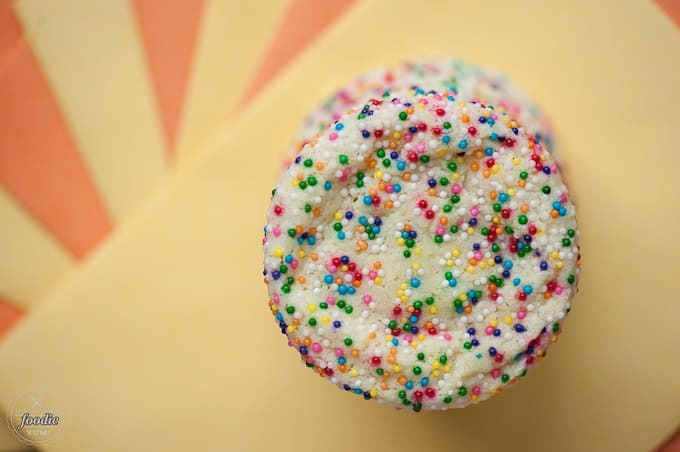 Birthday Cookies are the softest homemade sugar cookies covered in fun sprinkles that taste like a perfect birthday cake! Making Birthday Cake Sugar Cookies from scratch is super easy. 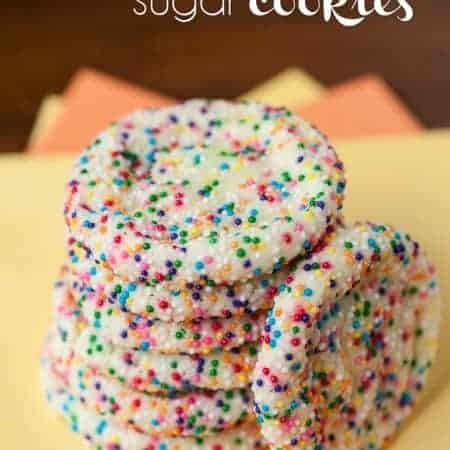 Unlike typical sugar cookies, these funfetti cookies don’t require you to chill and roll the dough which makes them a great anytime treat! Birthday cookies have a secret ingredient… did you know? 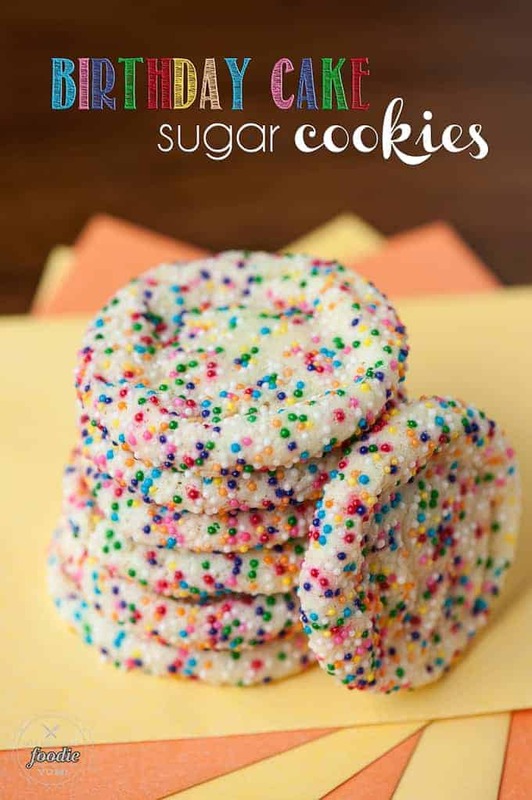 Yep, they’re not just sugar cookies from scratch covered in sprinkles. Nope. 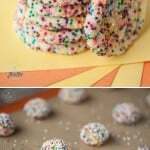 I added a small amount of one of my most favorite flavors to give colorful little funfetti cookies and unique taste that set them apart from your basic sugar cookie. What is that secret ingredient, you’re wondering? Well, you’ll just have to make your way down to the recipe to find out. Hint: it is a certain extract that is not vanilla. Do you love cookies from scratch? One cannot go wrong with my Faithful Chocolate Chip Cookies. They are chewy. They are soft. 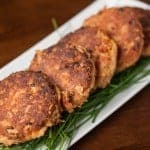 They are the best recipe I have ever used. One of my favorite homemade cookie recipes are my Brown Sugar Pecan Cookies. I made them as a Christmas cookie, but they really can (and should) be an anytime cookie. They have a cake-like fluffy cookie, a sweet frosting, and are topped with a pecan half. Yum! Chewy Molasses Sugar Cookies are always a favorite. 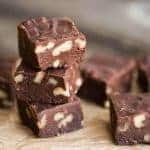 To get the maximum chewiness out of them you have to pull them out of the oven at just the right moment and be sure to store them in an airtight container to keep them soft. I have to admit, the cookies turned out pretty darn awesome. I already had the sprinkles in my pantry – something I highly recommend everyone keep on hand. This control-freak-in-the-kitchen kind of a mom even let her daughter make them because it was kind of a no fail recipe and there was no chilling of the dough or rolling out with a rolling pin required. Baking Sheet – I’ve been using this one for years. I love that it’s made in the USA, the sides are high enough to keep anything from spilling over, and it’s warp resistant. Silpat Silicone Baking Mat – Any time I bake cookies, I always use my Silpat. Turn ANY pan into a non-stick surface and save time cleaning up! Stand mixer: This is a kitchen must-have. I use mine almost any time I bake. It’s one of the few appliances I will allow to always remain on the counter rather than be put away. 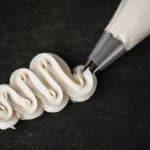 In the video, I used a hand mixer, but the first time I made them I used my trusted stand mixer. Silicone spatula: Any time you’re working with a batter, you’ll need a good quality scraper. These are the ones I use because they do the job right and don’t leave a nasty silicone taste when I like the batter off at the end! Watch the recipe video below of me making my Birthday Cake Sugar Cookies! Preheat oven to 350 degrees F. Line cookie sheet with parchment paper or silicone baking mat. In the bowl of a stand mixer using the paddle attachment, cream the butter and sugar together on medium speed until light and fluffy, about 3 minutes. Add the egg yolks, vanilla extract, and almond extract and beat until well combined for about a minute, scraping sides as needed. In a separate bowl, combine flour, baking powder, and salt. Mix into butter mixture until a dough forms. You may need to do the final mixing by hand as the dough will be thick. 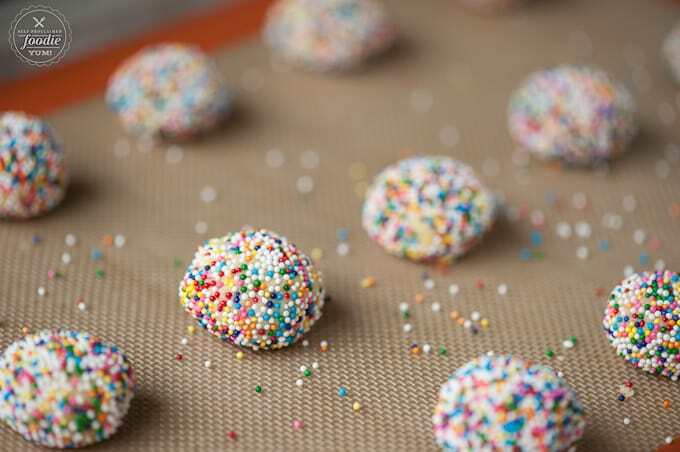 Roll dough into teaspoon sized balls and then roll dough balls in the sprinkles. Cookies will spread thin as they cook so make sure they're spread about 2 inches a part. Bake in preheated oven for 9-11 minutes and remove when set but not yet turning brown. Allow cookies to remain on hot baking sheet for a couple of minutes and then transfer to wire cooling rack. Store in airtight container. * For the photos, I used ultra fine sugar and cake flour. For the video, I used regular granulated sugar and all purpose flour. Both worked and tasted great, but the photo batch turned out flatter. I was also using a different oven though. Bottom line - either option works. Are you a Foodie? We have a group that’s just for you! 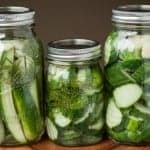 I invite you to join so you can share your love of food and cooking with other foodies. We’re building a community one meal at a time! what exactly is “cake purpose flour”? i have heard of cake flour, OR all purpose flour…..? My cookies were pretty dry and had a hard time holding shape and the sprinkles wouldn’t stick to them either. I added about 3 TBS of milk and that helped a lot. My cookies didn’t spread when I baked them either, they held the ball shape. The 2nd time I squashed them down with a glass to make them look more like yours, worked perfectly! Super fun cookies, I make them for all my birthday people! The glass trick made a world of difference, thank you! Mine also came out dry, but they are for a 2-year-olds birthday so as long as there’s sprinkles, it’s good! Ally, thank you for the suggestion of adding milk to the batter. Mine too came out a bit dry and the sprinkles didn’t stick so well. I’ll try the milk trick next time I make these. They have a delicious flavor and my family enjoyed them, even if they looked a little shoddy. How do you send the cookies? You sure can! Just make it airtight so they don’t get freezer burn. Love these birthday cake sugar cookies!! Great video, too!!! These look fun. Thanks for sharing! My grandson’s birthday is coming up, and I just celebrated mine. These will be nice to share with him. Since I’m allergic to tree nuts, I’ll have to use vanilla though. Maybe I’ll experiment with some other flavor. I have to make those pesky high altitude adjustments too. I grew up in high altitude, so I feel your pain, Sherry! I love these cookies! Delicious. Although they were not cooking all the way through so I just pushed them down a little with a fork. And after that everything was great! I love these cookies and I definitely recommend them! I too found the dough way too dry. The dough had a hard time sticking together and the sprinkles didn’t stick at all. Put in oven and they didn’t spread. Not one bit. Sounds like this one needs tweaking a bit. Hi Meg, I’m so sorry it didn’t work out for you. I’ve made these a few times and that hasn’t happened to me. I’m wondering if it has to do with the size of my egg yolks? The yolks are pretty huge in my eggs. I did not change a thing and these came out perfect. The were soft and chewy, and just the perfect amount of sweet. Dough was easy to work with. The only issue I had was I made the balls a little too big at first and they burned on the bottom before they cooked through. I just made the next pan samller and they came out perfect. I will definitely use this again. Maybe even in place of cut outs for the holidays. I noticed the comments about the dough being dry: I would suggest substituting brown sugar for at least half the granulated sugar. It will add moistness without altering the flavor.